Che si tratti dei Metallica, dei Beatles o dei Rolling Stones, ormai potete scegliere la vostra band preferita in qualsiasi negozio. Il punto – invece – è un altro: come abbinare la vostra t-shirt? 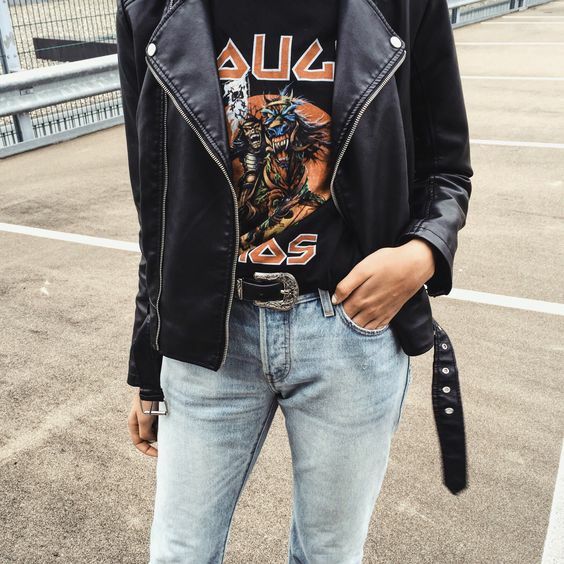 As I already told you a few posts ago, one of the biggest trends of this spring 2017 is the one of the rock t-shirts. And just how it always happens in these cases, the trend gets so big that now we can find this kind of shirts literally in every clothing chain. No matter if it’s Metallica, Beatles or Rolling Stones, now you can choose your favourite band in every shop. The point – however – is another: how to combine your t-shirt? Se optate per una t-shirt rock dal classico colore nero, un abbinamento perfetto è senza dubbio quello con un capo in denim. E allora perché non scegliere una gonna in jeans, per rendere il look ancor più girly rock? If you’re going for a classic black t-shir, a perfect way to combine it is certainly with a denim item. 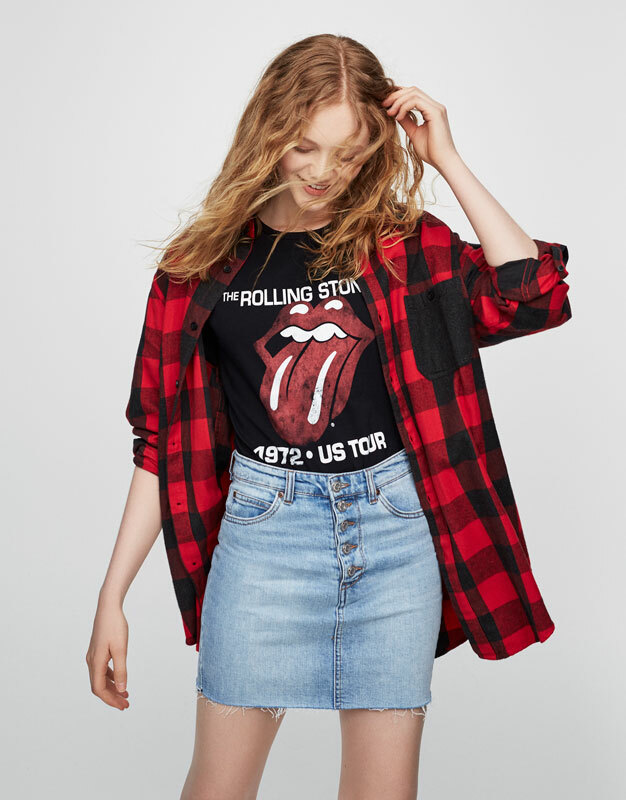 So why don’t you choose a jeans skirt, to make the look even more girly rock? Se ancora è troppo freddo per indossarla da sola, un ottimo modo consiste nell’abbinarla con una camicia a quadri, che riprenda possibilmente gli stessi colori. If it’s still too cold to wear it alone, my tip is to combine it with a plaid shirt, which should possibly have the same shades of colours. T-shirt rock, mom jeans ed è subito anni ’80! Scegliete un paio di jeans con questo tipo di fitting, perfetti per abbinarli alla vostra t-shirt sblusata. 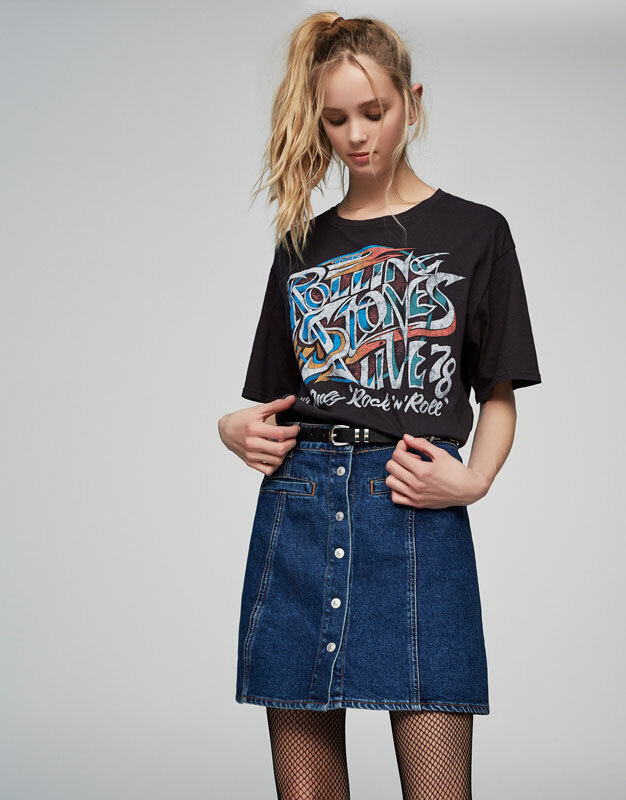 Rock t-shirt, mom jeans and you’re immediately a ’80s babe! Choose a pair of jeans with this kind of fitting, perfect to be combined with your baggy shirt. Se volete un look che sia veramente rock, optate per un chiodo in pelle, rigorosamente nero, e magari con qualche borchia o applicazione. 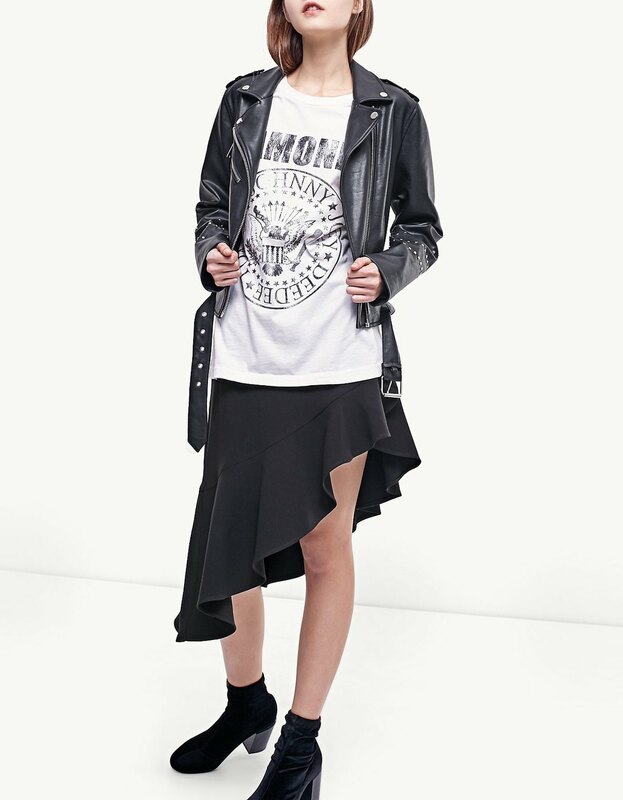 If you want to be completely rock, go for a biker jacket – in black of course – possibly with some studs or applications. Se siete stufe del solito nero, scegliete una t-shirt dal colore più tenue, come un rosa pastello. Il contrasto tra la stampa rock e la tonalità chiara sarà davvero vincente. 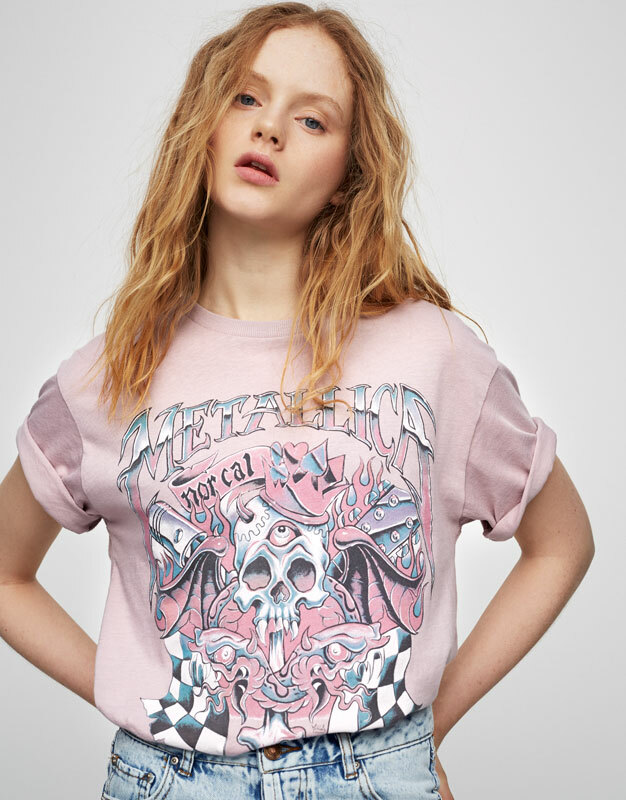 If you’re tired of the usual black, choose a t-shirt with a lighter colour, such as a pink pastel. The contrast between the rock print and the light shade will be fantastic.